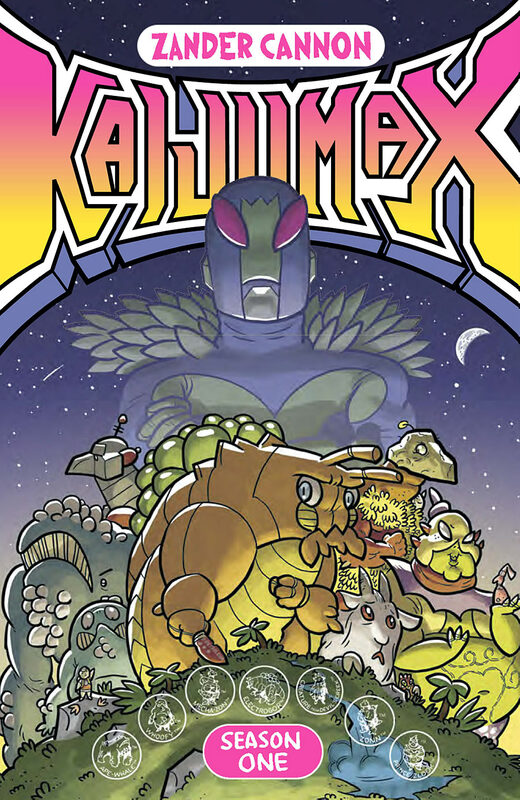 KAIJUMAX TP SEASON 01 VOL 01 ONI PRESS INC.
On a remote island in the South Pacific lies KAIJUMAX, a maximum security prison for giant monsters. Follow doting father Electrogor as he stands up to the cruel space-superhero warden! See corrupt guard Gupta manage his illicit uranium-dealing empire and pay off his gambling debts to the Queen of the Moon! Watch Mecha-Zon battle his own programming when the monster he was created to destroy shows up on the pound! These stories and more will assault you from every angle in the cesspool of corruption that is KAIJUMAX!